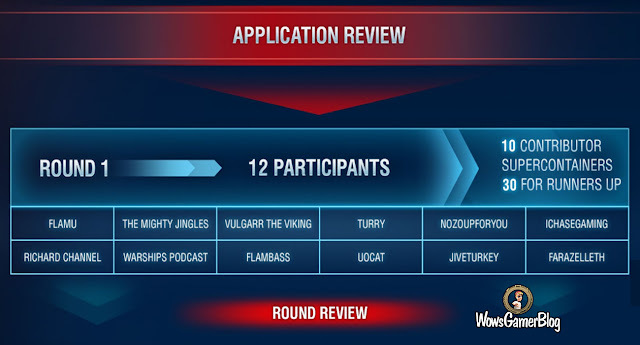 It's been exactly two weeks since we announced our new "Ring" video contest, in which 10 members of the Community Contributors program will compete against each other for the right to be a Commander in World of Warships. And now, it's time to name the 12 heroes who will enter the Ring! Watch our video report on how we selected our contestants. Flamu, The Mighty Jingles 😉, Vulgarr the Viking, Turry, Nozoupforyou, iChasegaming, Richard Channel, Warships Podcast, flambass, Uocat, Jiveturkey, Farazelleth. This Friday, Round 1 kicks off with a special combat mission that will be available for the contestants and players alike! Watch our videos announcing the start of the round, find bonus codes, and let the battle begin!